but i never even saw the 65 in person. I wouldnt have minded getting a couple. Man I never seen 1 of those darn 501st here in chicago. I had to make some customs for people to get mine . and I got some for X-mas from my good friends over at CC. remember to network..believe it ..there's folks here that will help you out, just ask! A ton of these have been showing up at KB Toys of late, simultaneous with the Carkoon wave. $6.99 though. I was lucky enough to find one Tactical Ops Trooper. 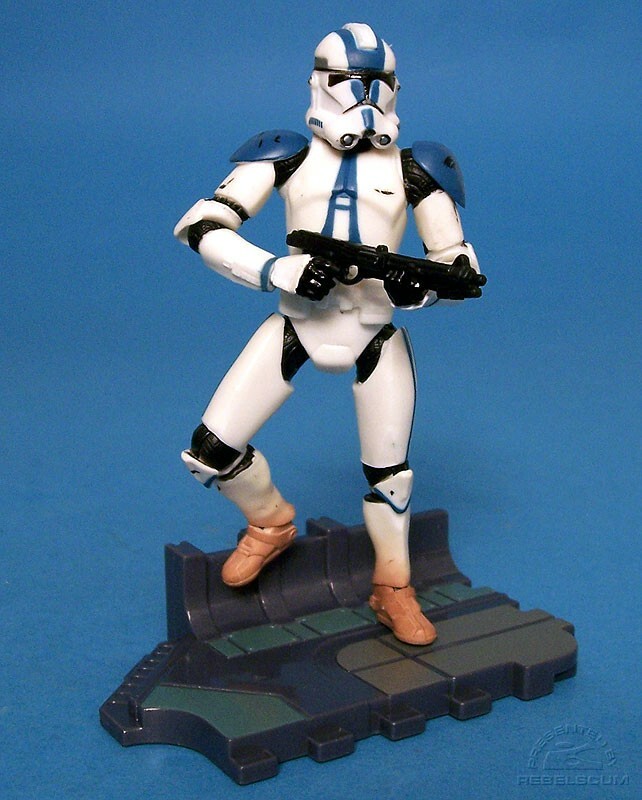 I wanted to army build the 501st, but I can't find any of them around my area. Shouldn't maybe the Tactical Ops Trooper also have come with a rifle? He did in the Jedi Temple Assualt Battlepack but not the single carded version. I dont care for the figure, most of the time the helmet is misshapen and the paint design is warped. i wanted to get two of them...to display with my Jett(zett? cant remember his name) figure but i only saw one of these..and it was selling for $30 canadian...so i passed it up...and never bought anything from that store again.